Updates to Rene''s profile since your last visit are highlighted in yellow. I have been married to my ever-loving man Charlie for 36 years. He is a Class A PGA Golf Pro/Professional Golfer/Golf Instructor. 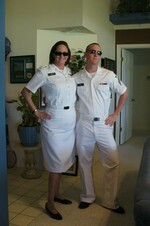 My daughter Mary met her husband Joey in the US NAVY at Naval Nuclear Power School. They Blessed us with our first Grandson, Isaac Joseph Holtz on 3/29/09. Joey earned "Sailor of the Year" on the USS Harry S Truman" Nuclear Reactor Div for 2011! He is now attached to the newest Super Carrier in the Navy - The USS Gerald R. Ford. 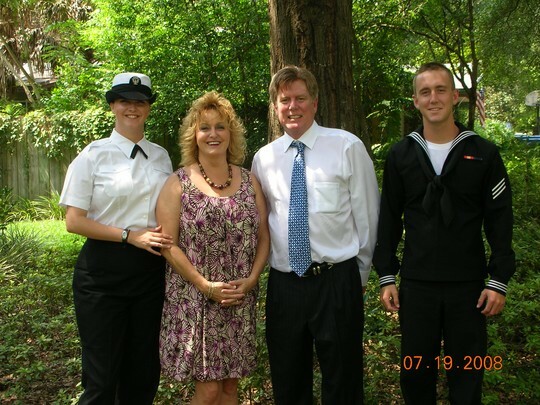 Our son Caleb is a US NAVY FMF Corpsman stationed at Portsmouth Naval Hospital. Caleb and his first wife Blessed us with Grandson #2 on November 10, 2010 - Luke Gabriel Meade! He remarried the love of his life this year and we are so BLESSED to have a new, wonderful daughter-in-law April. She is a graduate of Old Dominion University. It looks like we are a United States NAVY family! My best friend is still June Calhoun Noland. LOVE HER! I miss Waynesville and the mountains of Western North Carolina. For those of you who never left and wonder if you made a mistake you did not. We grew up in a wonderful, beautiful place! Everyone remembers driving up the hill and into the parking lot on the first day of HIGH SCHOOL. We had arrived! It was the greatest day of our lives - we were at the MIGHTY TUSCOLA! You know you felt the same way. Admit it! Rene' Truitt Meade has a birthday today. Rene' Truitt Meade updated profile. View. Rene' Truitt Meade added a comment on Profile. New comment added. Neal and I with Lauren. Rene' Truitt Meade posted a message on Jeff Lyle's Profile. My Sailors rock! Do they remind you of anyone? My new crazy glasses cause I can't see anymore! I married into a Gator Family. We go to UF for all the home games. Tailgate! Elusive picture of spouse. Tailgating at the University of Florida! Caleb sent me this picture on my birthday. I am so proud of him for his service in Iraq. Mary and Joey got married!